This article, written by Pennsylvania State Archives intern, Christie Briley, serves as a preview of the Pennsylvania State Archives’ highly-anticipated new blog, Access Archives, which is set to premier August 5, 2013. Christie plans to graduate from Rutgers University in December, with a Masters in Library and Information Science. During her time at the archives, she has worked in a variety of capacities, including: assisting with research into records under the Committee on Lunacy (Pennsylvania State Archives RG-23, Records of the Department of Public Welfare); assisting with research into prison records (Pennsylvania State Archives RG-15, Records of the Department of Justice); conducting a preliminary sorting of discharge and admission records from Pennsylvania State Hospitals (also RG-23); and with developing a guide to militia records held at the archives. Sometimes a good story begins with a mystery. Passed down from family member to family member, the aged drum looked like it had seen better days. The origin and owner were unknown, but there were enough tantalizing breadcrumbs to begin the search. John Heffelfinger, whose regiment fought in the Gettysburg Campaign. This allure drew a Harrisburg-area researcher to the Pennsylvania State Archives in April. 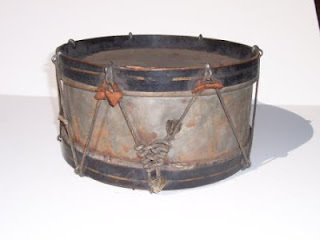 Her desire was to gain information regarding the alleged Civil War-era drum that she inherited and the possible family connection. “I was always told it was a Civil War drum and that one of my ancestors was the drummer,” she stated. “But no one seemed to know who the drummer was.” The ancestral connection indeed existed. The researcher’s great-aunt’s grandfather, John Heffelfinger (1830-1908), was found to have enlisted as a musician in Company C of Pennsylvania’s 149th “Bucktails” Regiment during the Civil War. enlistment as a musician, in Myerstown, Pennsylvania. 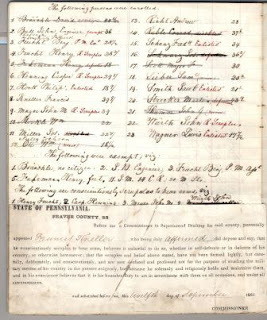 Pennsylvania State Archives RG-19, Records of the Department of Veterans’ Affairs, Series .11, Civil War Muster Rolls and Related Records. The 31-year-old Myerstown man enlisted on August 13, 1862, for a three-year term, mustering under Captain Sailor on August 19. On August 24, 1865, his company mustered out nearly four months after the official end of the Civil War. Notations on Company C’s muster-out roll indicate that he had received $25 of a $100 bounty and had an outstanding clothing account. Interestingly, Heffelfinger’s pay was “…to be stopped for one batterhead and three snare heads,” indicating heavy use of the drum. The need for new batterheads and snares comes without much surprise as Heffelfinger’s regiment saw considerable action. The Bucktails were ordered to the defense of Washington, D.C., before finding themselves in the thick of numerous important battles. They were present during the Gettysburg Campaign and saw battle on those fateful early July days of 1863. Notably, the regiment fought along Seminary Ridge. Not long afterwards, they became part of the force pursuing Lee after his loss at Gettysburg. The Bucktails also clashed with Lee in his greatest victory--the Battle of Chancellorsville. In total, the regiment participated in nearly twenty battles and campaigns in their three years of service. As one of the regiment's musicians, Heffelfinger may have understood the unique demands of war as few others did. A troop musician was the first line of communication on and off the battlefield. Drum calls organized troop movement from Reveille in the morning, indicating a call for officers to attend a meeting, or relaying orders to charge or retreat on the battlefield. He would have been expected to remain at the ready any time of day and to stay awake as long as necessary to call the company to arms. Drummers were often stationed near high-ranking officials on the field of battle to relay orders. After orders were given, the regimental musicians worked as runners or acted in any capacity that was needed including taking up arms and fighting if required. Heffefinger, as the musician with the snare drum, would have also been a vital part of the regimental band. Music, as it does even now, served as a motivational tool to keep up soldiers’ spirits. When the smoke of war cleared, the 149th Regiment had lost a total of 336 soldiers. Heffelfinger himself lived to join the Grand Army of the Republic (G.A.R. ), which was a veteran awareness and advocacy group. He died on April 12, 1908, in Mechanicsburg, Pennsylvania. The mystery drum still may have more secrets to tell. In her search, our patron found that Heffelfinger's father, William, was a drummer in the War of 1812. As she mused, "Did it start with him [William] in 1812 and get handed down to John?" This new crumb may yield further insight into her family's past. Those of you reading this in the Northern Hemisphere (humor me) are now experiencing the longest period of daylight all year. The summer solstice took place early this morning on the east coast and now we begin the long slide toward winter. (How’s that for cheerful?) Anyway, here at Trailheads HQ, we’re inundated with links and info about the Trails of History, so let’s get to it. Last week, Eckley Miners’ Village was a featured community organization at a Scranton/Wilkes-Barre Rail Riders (minor league baseball) game. Volunteer Garrett Kott, dressed as a breaker boy, threw out the first pitch, and site administrator Bode Morin was interviewed on the Jumbotron. There are photos on Eckley’s website here. The Ephrata Cloister Chorus will cap off a tour to New York and New England this weekend by giving a concert of early American music at Hancock Shaker Village in Pittsfield, Massachusetts, on Sunday, June 22. If the summer heat is already too much for you, consider getting a military-style buzz-cut at the Pennsylvania Military Museum 10 am to 3 pm tomorrow. Buzz-Cut Saturday is a new program; you can help it be a success. Haircuts are free, but donations are gratefully accepted to support the museum's programs. Regular admission rates apply if you want to visit the museum exhibits; PMM and all sites on the Trails of History offer free admission to active duty military and their immediate families. If buzz-cuts aren't your bag, you might also want to check the latest installment in the Military Museum Moment series on caring for your military collections. Somerset Historical Center recently participated in a program highlighting and honoring the Johnstown area’s connections to the Underground Railroad (you can read more about it here). Staff from the center appeared in period dress and provided children’s activities during the event. 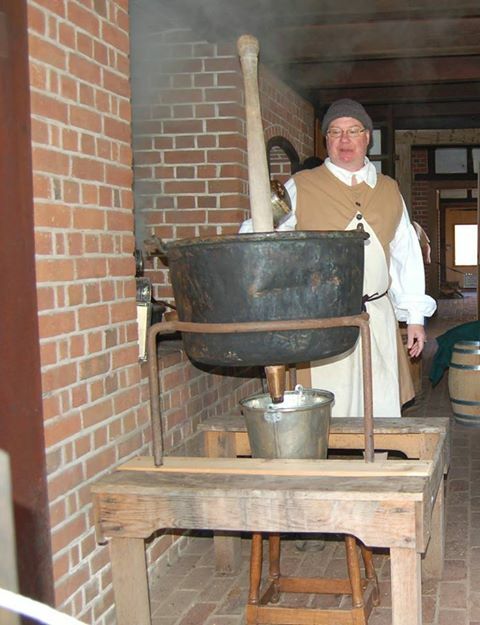 Pennsbury Manor will kick off their first “Brews and Bites” event tomorrow, 4-8 pm. The event features food inspired by the recipes of William Penn’s first wife, Gulielma, and beer from a great selection of Philadelphia-area craft brewers. There will be musical entertainment and demonstrations of 17th- and 18th-century beer brewing techniques (photos of the recently planted hops wall in the garden are here). For details and tickets, go here. I also recommend, for your reading pleasure, a nice article here about Pennsbury's animals and gardens and the staff who take care of them (in addition to all the other things they do). The State College Elks Club and local veterans organizations will present a Flag Day and U.S. 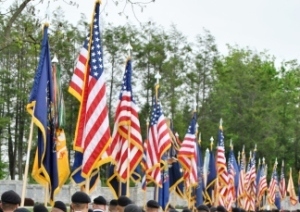 Flag Retirement Ceremony on the grounds of the 28th Division Shrine at the Pennsylvania Military Museum today at 6 pm. U.S. flags that are no longer serviceable may be brought to the program for proper disposal. The June program preview lists info on events happening this weekend, which include Patch Town Days at Eckley Miners’ Village, free Father’s Day admission for dads at Ephrata Cloister, and Evening on the Green at Daniel Boone Homestead. In addition, Brandywine Battlefield will host the first of their summer lecture programs on Father’s Day (details here). 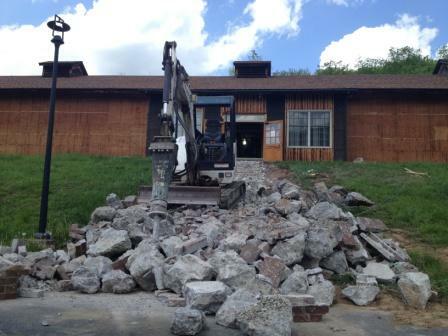 Drake Well Museum showed up in my various news feeds several times this past week. The visitor center at Historic Pithole, the remains of an oil boomtown, will be open 10 am-4 pm on weekends through the summer, thanks to volunteers and staff from the museum. You can read more about that in the Titusville Herald here. A newspaper in Bakersfield, California, reported this week (here) that local students would be stopping at Drake Well on their way to the National History Day contest in Maryland to visit the site that was the focus of their entry (the museum documented the visit on their Facebook page.) THIS JUST IN: these students finished in fifth place nationally in the Junior Group Exhibit category; first place went to students from Kutztown, PA (I'll have a list of PA results in next week's post). And, Drake Well is participating in the “Titusville Treasure Hunt,” a cooperative effort to get families out and about to explore local history—treasure hunters can download the questions on Drake Well’s website (here) or pick up a copy at the museum; there will also be a family picnic on the museum grounds in September for people who participated in the project. 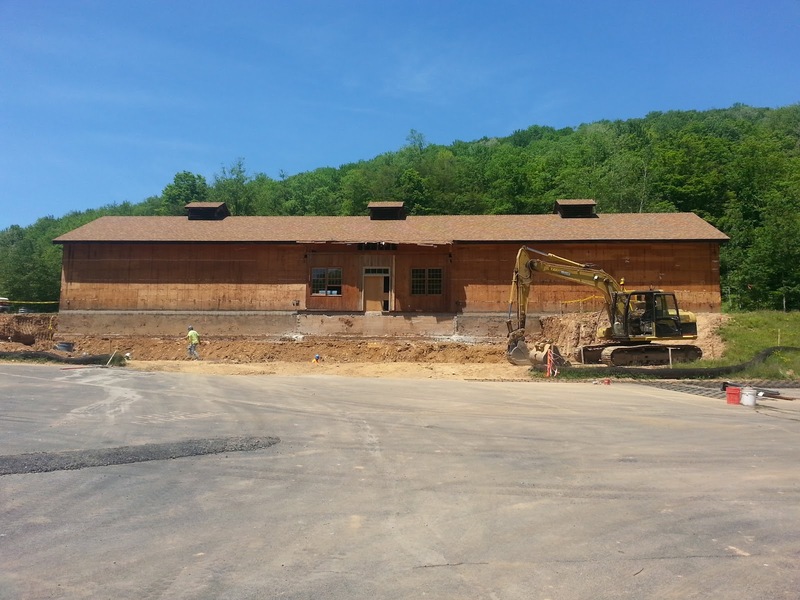 In other video news, you can learn more about the current restoration project at Cornwall Iron Furnace by watching this interview on the Lebanon Daily News website. I ran across a British blog post (thank you, soon-to-be-defunct Google Alerts) about a visit to Bowood House (in Wiltshire, England), the site of Dr. Joseph Priestley’s discovery of oxygen. A photo in the post shows a plaque presented jointly by the American Chemical Society and Royal Society of Chemistry that mentions Priestley’s American home and laboratory (which you can visit here). I’ll leave you for this weekend with some images from last weekend. The Arts on Fire Festival, held at the Scranton Iron Furnaces, has quickly become a very popular event in Scranton. You might say it’s red hot (but I’d never do that). Anyway, you can enjoy photos of the event on Facebook here. I’m on staycation this week, but before I headed out the door last Friday, I gathered up some links and info I thought might be of interest. This weekend Old Economy Village presents “The Panic of Pittsburgh: A Civil War Event.” This living history program will explore the impact of the Civil War on western Pennsylvania and the response of local residents. 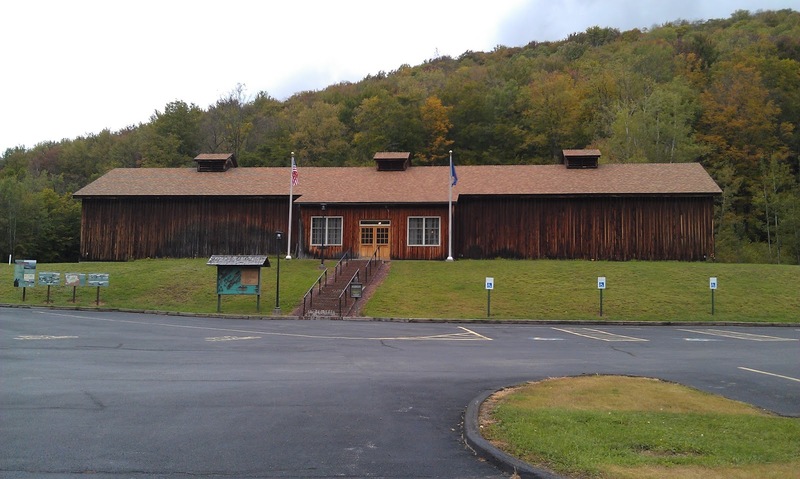 A small exhibit in the Visitor Center will feature the Harmonists’ involvement in supporting the troops and other civilians through charitable efforts and other means. Some members of the Harmony Society were subject to the draft; they exercised their legal exemption on religious grounds and paid for substitutes. Documents in the OEV archives reflect these activities as well as the fact that the Harmonists kept in contact with and supported those substitutes. (My thanks to curator Sarah Buffington for images and text--I’m hoping to do a more in-depth post about this and other Civil War stuff on the Trails of History later in the summer.) The Pittsburgh Post-Gazette had a nice article about the event this past Monday; check it out here. The schedule for this weekend’s program is Saturday, 10 am to 5 pm, and Sunday, noon to 5 pm. You may want to head over to YouTube to catch up on Trails of History activities. For example, students from Lebanon’s Cedar Crest High School produced a segment on Cornwall Iron Furnace (above) as part of their “Our Town” series. A young railfan tours the Railroad Museum of PA here and Landis Valley Museum was featured in a "360 Lancaster" segment here. Or see why the view from Bowman’s Hill Tower at Washington Crossing Historic Park was recently named a finalist for best view in Bucks County here. 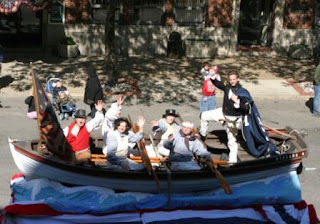 Or watch a very brief reenactment of the Battle of Lake Erie during the Perry 200 parade on Memorial Day here. Photos from Memorial Day weekend events abound on Facebook and elsewhere—among them the Pennsylvania Military Museum’s World War II Revisited here and Washington Crossing Historic Park’s Memorial Day Observance here (thanks to Linda Silkwood on Flickr). 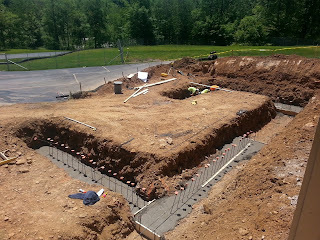 Summer interns have started their work at many sites on the Trails of History. 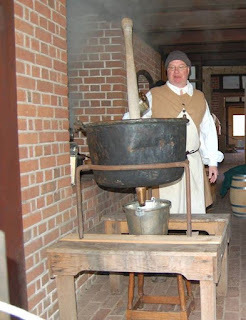 At Ephrata Cloister, they’re already blogging about their experience. I hope to have some interns as guest bloggers on Trailheads later this summer. Drake Well Museum’s MEET-U (mobile energy education training unit) recently held a successful 5-mile trail race to raise funds, participated in the Perry 200 parade, and hosted a field trip of university, government and industry professionals who were in Pittsburgh for the annual conventions of the American Association of Petroleum Geologists and the Petroleum History Institute (by all accounts they had a fabulous time). That’s just a small snapshot of all the activity that’s going on out there on the Trails of History. 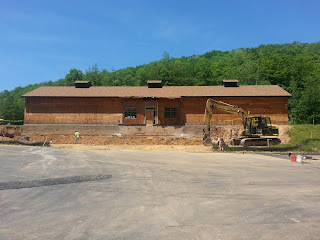 I’ll leave you with one more—progress is being made at the Pennsylvania Lumber Museum on the project to renovate and expand the Visitor Center. One important change is that there will be a fully accessible ground level entrance, which means taking out the existing steps. It’s a big job, as you can see.